I normally really enjoy books like this, but I approached The Wisest One in the Room with more trepidation than usual. 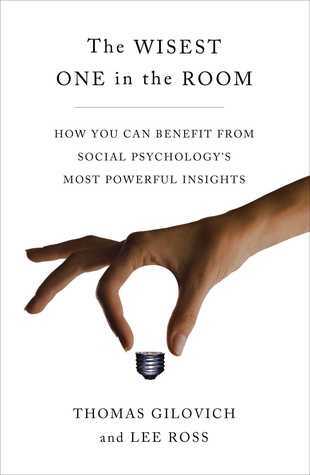 This was due to two specific words/phrases in the book's pesky subtitle (How You Can Benefit from Social Psychology's Most Powerful Insights): "How" and "Social Psychology." I'm not claiming that I'm often or even ever the wisest member of a room, I just dislike "how-to" books as they tend to have unappetizing content-to-fluff ratios and make for tedious reading. And while I find social psychology riveting, I worried that tackling such a broad subject would lead to a lot of overlap with other pop psychology books I had already read. Thankfully, both of these concerns turn out to be misguided for the most part. The Wisest One in the Room does tread over some similar topics to books like Predictably Irrational and Thinking, Fast and Slow but it also showcases some fascinating research conducted by its two authors and offers practical applications for such findings without ever remotely veering into self-help territory. The book is organized into two parts. The first tackles the mental areas that make people "wise." These "pillars of wisdom" essentially concern understanding and acknowledging some of the foibles and quirks of human psychology, such as the fundamental attribution error and cognitive dissonance. Gilovich and Ross tend to stick to the usual pop psychology template of an introductory anecdote, a description of how the actual principle works, and then a synopsis of some relevant research studies and how they further illustrate said principle. This setup is executed well, and the authors are able to present enough examples of studies to ensure reader comprehension without ever feeling overwhelming. These chapters do illustrate my biggest problem with the book, however, which is that the wide-ranging subject matter leads to some overlap with other popular books in the genre. Passages on the power of default choices (covered extensively in Richard Thaler and Cass Sunstein's best-selling book Nudge) and Daniel Kahneman and Amos Tversky's groundbreaking research on heuristics and how humans are remarkably poor at making reasonable decisions (described in-depth in Kahneman's Thinking, Fast and Slow which went similarly gangbusters (at least for pop psychology books) in terms of sales) explain important subjects vital to understanding human behavior, but they don't add much to anyone who has read those aforementioned parenthetically-cited books. Readers who are less familiar with the genre will get a lot more out of The Wisest One in the Room's initial chapters, though, and the authors need to cover such topics in order to properly set up the second half of the book. Additionally, for all my carping, I was pleasantly surprised by the amount of new material I picked up in the first half of the book, such as a fascinating study on how researchers were able to influence whether Israeli respondents found Sri Lanka and Nepal more or less similar to East Germany and West Germany merely by switching the question's focus from "more dissimilar" to "more similar." Fear not if you found my description of that study confusing. Gilovich and Ross are much better at writing about these things than I am and do a phenomenal job of describing studies, especially how researchers designed them to keep confounding variables in check. The Wisest One in the Room really hits its stride in that second half, where the authors apply the learnings from the first section to major public policy and quality-of-life issues. The strongest chapters are on maximizing personal happiness and achieving effective conflict resolution. Unsurprisingly, these fall into the authors' wheelhouses (both are psychology professors: Gilovich at Cornell and Ross at Stanford, and the two have over 80 combined years in the field). Gilovich has done a variety of studies on the former topic, and he offers some practical and enlightening advice to improving personal satisfaction with life and making the most out of experiences, such as how short, very fun vacations provide more long-term contentment than longer but slightly less fun experiences. Ross is the co-founder of the Stanford Center on Conflict and Negotiations and has worked with the UN and leverages this expertise for a compelling chapter on what his research and expertise tells us about resolving conflicts between the most stubborn of parties. There are no workshops at the end of these chapters or any magic bullets or "5 Simple Hacks To Make You The Happiest Person Ever" lists (Social Psychologists Hate Him!) like in actual self-help books/clickbait. Rather, the authors understand life is complicated and instead humbly proffer some general advice, backed up by some fascinating studies, to help readers better understand a few major topics. While other chapters on improving at-risk schools and contending with global warming are slightly less absorbing, they still present some novel ideas and make for quality reading. I'm pleased to say that The Wisest One in the Room considerably exceed my expectations by showcasing a handful of engrossing and obscure research findings and applying social psychology to a variety of broader societal problems. Some other pop psychology books have certainly touched upon how research insights can inform governments and citizens, but often not to such an extent, and rarely on the topics of personal happiness and negotiations. It's these unique features that make The Wisest One in the Room worthwhile reading for any pop psychology book fan. I haven't followed Major League Baseball closely over the last few seasons, but I've been fascinated by the statistical applications to the sport since I read Moneyball about ten years ago. I picked up Travis Sawchik's recent book Big Data Baseball hoping to better understand some more current avenues of baseball research and an idea of what today's MLB analytics departments look like. Thankfully, Big Data Baseball largely delivers, exploring the quantitative insights underpinning the Pittsburgh Pirates' team-building and strategic principles that helped the team snap a losing streak that was rapidly approaching legal drinking age. Big Data Baseball is organized around the Pirates' aforementioned 2013 season, which saw the Pirates reach the playoffs for the first time in 20 years. This was a surprising result, as the Pirates kept most of their key players and coaches from their disappointing 2012 campaign. While Moneyball and Jonah Keri's The Extra 2% were largely concerned with the best way to draft players and assess talent, the Pirates and their meager budget were forced to put a greater emphasis on how to get the most out of their current roster. This predicament required them to comb through seas of game data through richly detailed sources such as PITCHf/x pitch tracking to identify areas they could exploit to their benefit. Chief among these were frequent and dramatic infield shifts and having pitchers adopt a low pitch count strategy with a heavy diet of sinking fastballs. The Pirates also paid a great deal of attention to pitch-framing, seeing that catchers could cause dramatic swings in wins through their mitt placement, which led them to doggedly pursue catcher Russell Martin despite his anemic hitting performance the previous year. The book proceeds in a generally chronological fashion and covers the entire 2013 season. Each chapter covers one rough theme, whether it is the value of pitchers inducing ground balls or the impact of pitch-framing, along with a look at how the Pirates and their statistics-based approaches were faring on the diamond. Sawchik presents surface-level analysis of these quantitative conclusions, often using a graph or table and spitting out a few relevant metrics. The focus is always on the conclusions rather than specifics as to how the data was crunched. Everything is explained in a cogent fashion that doesn't require a math degree to understand, though I wish Sawchik went a little more in-depth when explaining some topics. While Pirates data wonks Dan Fox and Mike Fitzgerald earn a hefty amount of (much-deserved) credit and ink from Sawchik for their efforts, Big Data Baseball cites a handful of other heroes. Manager Clint Hurdle was instrumental in getting his team and organization at large to buy into some seemingly counter-intuitive strategies such as the Brobdingnagian infield shifts, General Manager Neal Huntington kept his faith in Hurdle and also assembled the Pirates' Baseball Informatics department, and players such as the unexpected star pitcher Charlie Morton and pitch-framing extraordinary Russell Martin were vital to executing on the field. Sawchik gives in-depth profiles of these actors as well as a handful of others and they help flesh the book out and make the reader care more about the 2013 Pirates' fortunes. No one is as engaging as Billy Beane (that's admittedly a rather high standard) but there was some personality to the 2013 Pirates. Sawchik covers the Pirates for the local paper The Pittsburgh Tribune-Review and Big Data Baseball features the usual benefits and drawbacks of a book by a reporter. The big positives are that Sawchik had considerable levels of access to the team throughout the entire season, allowing him to draw from in-depth interviews from all major actors and a huge base of knowledge around the team. Learning about how Clint Hurdle became fascinated by analytics from his stint as an MLB Network talking head and Russell Martin's catching techniques were some of the highlights of Big Data Baseball for me. The downsides concern the prose, which is littered with some cliched metaphors and sometimes gets a little too homer-y for me. Still, it's a light and entertaining read with a decent amount of insight. 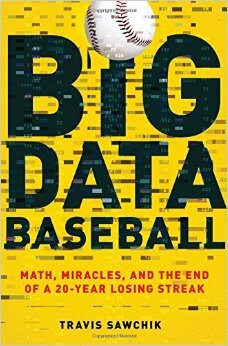 The book doesn't seem to be geared towards die-hard statheads (Sawchick even explains what "the count" is at one point) but if you're interested in baseball analytics (but not too interested to the extent that all of this might be old hat for you), Big Data Baseball is worth reading. Despite my few nits, I thoroughly enjoyed it and if you too fall into that intended reader sweet spot (I-liked-Moneyball-and-think-quantitative-analysis-applied-to-baseball-is-interesting-but-I-don't-currently-follow-it-to-an-incredible-extent) you'll probably like it too. Major league sports is big business. I don't think any metrics or factoids are necessary as this is a rather uncontroversial and unsurprising assertion. What's more interesting is that this wasn't always the case. Major ballplayers often had to supplement their relatively meager athletic incomes with side pursuits until fairly recently. For example, Roger Staubach earned less as the rookie starting quarterback of the Dallas Cowboys than author Matthew Futterman's father did working as an assistant lawyer for the U.S. State Department, and this tidbit served as the impetus for Players, Futterman's examination of the emergence of athletics as big business and how NFL starting quarterbacks eventually came to out-earn government lawyers by several million dollars. The book provides an overview of the major developments in major sports that helped spur this change as well as profiles of leading figures driving the movement. 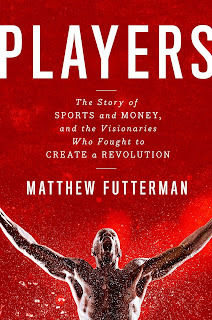 Players is roughly segmented by sport: there are chapters on Nick Bolletierri and the evolution of the sports training academy, Catfish Hunter's fight to become a free agent, and how the creation of the NFL's Quarterback Club brought in huge sums to the league's gunslinging stars (but actually siphoned off revenue to the NFLPA), among others. Despite what the title might suggest, non-athletes such as agents and trainers played a huge role in the growth of sports business, and there are extensive profiles of Arnold Palmer's agent Mark McCormack (a Cleveland lawyer who eventually founded sporting industry megalith IMG) and former MLB union head Marvin Miller and how they were instrumental in growing sports as a business. Roughly half of the book is devoted to sports outside of America's big four, with extensive chapters on golf, tennis, and the Olympics, and the evolution is tracked in a loosely chronological fashion. Players shines when it touches upon less popular sports and draws from interviews and detailed first-person accounts. Futterman writes for the Wall Street Journal's exceptional sports section and is a strong writer who is just as comfortable explaining the subtle mechanics of Jimmy Arias' forehand as he is describing the tax implications underpinning why Arnold Palmer deferred his tournament bonuses from his sponsors. Additionally, Futterman was able to parlay his industry connections to get interviews with the likes of Bollettieri and Bill Bradley for insider accounts of the movement. 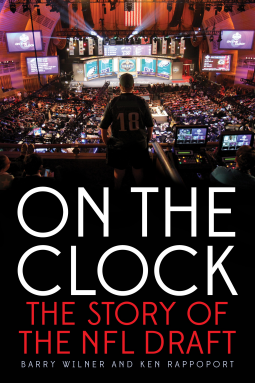 The chapters drawing heavily from interviews and exclusive content were more engaging to me than those on more recent topics such as cable sports networks that leveraged more familiar subjects and works such as the oral history of ESPN Those Guys Have All The Fun that I had already read. The one-sport-per-chapter approach gives the book a somewhat disjointed feel, as many passages touch upon some common themes found in other sports (such as a shift to more player-friendly free agency policies) that don't get fully explored. The section on multi-team cable television channels naturally does cover several sports, but other chapters suffer from this organizational structure. Futterman also restricts most of his analysis to American athletes, with only brief mentions of foreign leagues, which was a bit of a bummer. Maybe it's because I work at an ad agency, but I also wish Futterman went into more detail on how brands began to get comfortable with and then openly embrace associating with athletes, as these sponsorships were a major factor in raising incomes for marquee athletes. 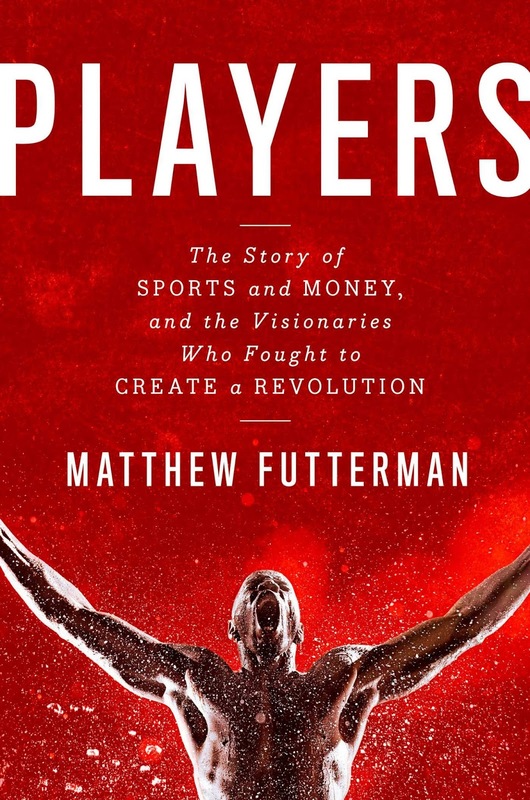 While there are a handful of books chronicling the economic growth of particular sports, Players is one of the few books with the ambitious goal of chronicling the business growth of all major sports. 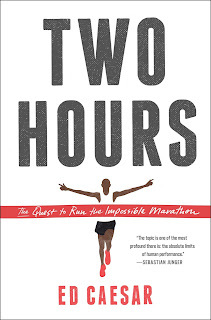 Its sport-specific chapters prevent it from presenting a clean and all-encompassing narrative (not that there really is one, I fully understand there were some sport-specific factors at play), but it does a fine job and outlining the major forces behind the movement. It will impart a good bit of knowledge on the subject, especially some of the older topics that will probably less familiar to readers, and it is a solid book overall. I don't think Players is strong enough to recommend to a sports fan with only a passing curiosity in the subject, but if you are someone who reads the Wall Street Journal and its sports section and/or finds Futterman's premise appealing you should give Players a look. Certain athletic events defy scientific explanation: Gus Ferotte's neck-spraining celebratory cement wall headbutt and Bobby Bonilla's Mets contract immediately spring to mind. 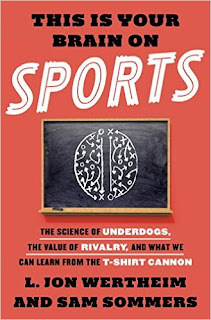 But as Sports Illustrated's L Jon Wertheim and Tufts psychology professor Sam Sommers deftly illustrate in their new book This is Your Brain on Sports, the social sciences can actually help us understand a variety of perplexing athletic topics of the non-Ferotte/Bonilla variety. Wertheim is no stranger to breezy social science/sports crossovers, having co-authored Scorecasting, which challenged conventional sports wisdom with some number-crunching, with University of Chicago economist Tobias Moskowitz in 2011. While some its conclusions may not have passed muster with peer review panels, it was a fun and occasionally enlightening read. 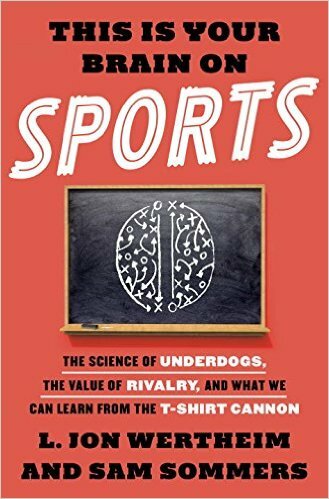 This is Your Brain on Sports is not really a sequel to Scorecasting as the focus has shifted from analytics to psychology, but it follows a similar template and is just as entertaining. This is Your Brain on Sports focuses mainly on individual and group behavior: why do many athletes make morally-questionable decisions (and then rationalize them in an almost-humorously inept fashion), why do so many nonpartisans pull for the underdog, why are coaches seemingly always on the hot seat? The authors use these discussions as a springboard to share some revealing psychological studies that both help explain the phenomenon and improve our general understanding of human psychology. In most of these cases, the conclusion is that while we may not compare physically with these non-Bartolo Colon professional athletes, these quirks illustrate some broader conclusions of human nature that certainly extend to those outside of top echelons of athletics. Wertheim and Sommers explore over twenty topics in all. 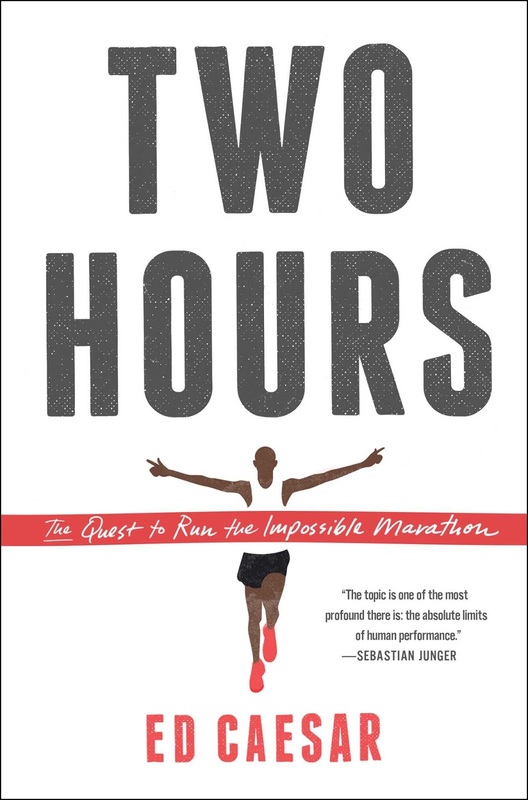 Each chapter sets the stage by briefly explaining the seemingly bizarre element of sports and then proceeds to share the conclusions of several relevant studies. Sometimes they can leverage actual studies on sports, such as a statistical analysis of NFL coaching longevity and some original research about the attractiveness of NFL quarterbacks, and other times they cite other psychological studies and hope that the external validity at least extends to sports (and in most cases it probably does). These studies don't always have the soundest methodologies (and to their credit the authors often point that out) and this was never intended for publication in any academic journal. This is merely attempting to amuse the reader with some interesting takeaways and thought food and understanding of things like the halo effect rather than completely upend their notions of human behavior with a new foundation for how to look at psychology, which is why the book has a light tone throughout and covers some inane (yet often fascinating) topics like the aforementioned look at quarterback attractiveness. The book strikes an optimal balance when it comes to scientific explanations. The intended audience is clearly sports fans with some interest in the social sciences (the inverse will still likely get something out of the book, though it will tread some familiar territory), so there is mercifully little arcane, inside baseball, academic talk about inhibited neurotransmitters and the underlying mechanics of the occipital lobe. There were a few sections that were unsurprising or rehashed material I had already read in other books or studied in college, but no chapters overstayed their welcome and I knew there would likely be a more interesting chapter coming soon (and there most always was). You might not learn as much about psychology as you would in a textbook (well actually you definitely wouldn't that's a remarkably unfair comparison), but This is Your Brain on Sports does offer a solid introduction to these topics that can spur further exploration in the sea of pop psychology books that followed in Freakonomics' wake. Overall, This is Your Brain on Sports is a very enjoyable read and would go down as one of my favorite books in 2015 if it wasn't being released in February 2016. If you want to learn more about what psychology can tell us about the often wacky world of athletes (and also some trivial tidbits like the story of how journeyman quarterback Elvis Grbac (for all you youngins all you need to know is he's not exactly Casanova) was once named to People Magazine's Sexiest Men list) and enjoy pop psychology books and have at least a passing interest in sports, there is a lot to get out of This is Your Brain on Sports. Like most people, I imagined that the gradual dismantling of the music industry through filesharing was largely the result of the collective pirating conducted by hordes of music lovers/looters across the world. So while I enjoy music and books on the subject (and even still buy CDs for some inexplicable reason), I wasn't expecting any earth-shattering insights from Stephen Witt's How Music Got Free. As Witt points out in the introduction to the book, however, this massive change was actually largely driven by surprisingly few actors. In fact, he is able to chronicle the entire saga from the early 80s through the birth of Spotify by focusing on three individuals. How Music Got Free provides an incredibly entertaining account of the birth of the mp3 and the cultural and financial impact of everybody's favorite compressed audio file type. Witt's three subjects run the gamut: Doug Morris, a top record label executive, Karlheinz Brandenburg, the German researcher largely responsible for developing the mp3, and Dell Glover, a humble "black redneck" from North Carolina who leveraged his job at a CD factory to become perhaps the most prolific leaker in music industry history. He deftly weaves between these threads in a large chronological fashion in chronicling the creation of the mp3, its fight for file-type supremacy, and how it turned the profit model of the music industry upside-down. This approach keeps things fresh and allows Witt to dive deeply into a variety of diverse topics. How Music Got Free is almost three books in one: an analysis of psychoacoustics and file compression and how Brandenburg and his German research team were able to create the mp3, a case study on the business impact of the file-sharing revolution and how music executives (very, very, slowly) adjusted to the sea change in listening habits, and a thoughtful profile on Glover's leaking pursuits and a true-crime tale of the rise and fall of his circle of leakers. The book greatly benefits from extensive interviews with most major players, allowing Witt to really flesh out major characters and get some deep insights. How Music Got Free focuses extensively on Glover, and Dell's story is both engrossing and presented in a thoughtful and objective matter. The pirates aren't lionized as class-warrior heroes sticking it to the big record execs, and the big record execs aren't vilified as cruel and heartless automatons (well at least not all of them anyway). Witt is remarkably thoughtful and objective throughout, despite a few moments of snark (I guess I'm just angry he described Björk as a "scene queen"). Witt is a journalist with a mathematics degree from the University of Chicago and actually once worked as a hedge fund trader. That last fact probably explains why he is able to go into such lucid detail on the business strategies of major record labels. Witt also has a journalism degree from Columbia, which is likely why all of his descriptions, from how compressed files take advantage of neurological quirks of how the brain listens to music to lower file sizes to the legal messes the leakers got themselves into, manage to strike the difficult balance between being clear and detailed. While the prose suggests a Wired feature, How Music Got Free doesn't ever feel like a bloated article. Unlike some of the insipid commercial full-lengths released in the 90s and early 00's that contributed to the death of the album, there is no filler here.There is definitely enough material to justify its length, and I almost wish that music took a bit longer to self-destruct so How Music Got Free could add a few more chapters, though I don't want to suggest that the book isn't comprehensive. 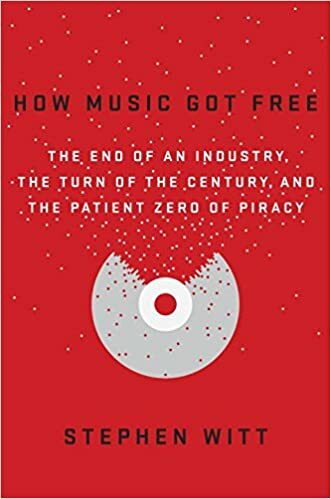 Overall, How Music Got Free is a great read that will probably go down as my favorite book published in 2015. 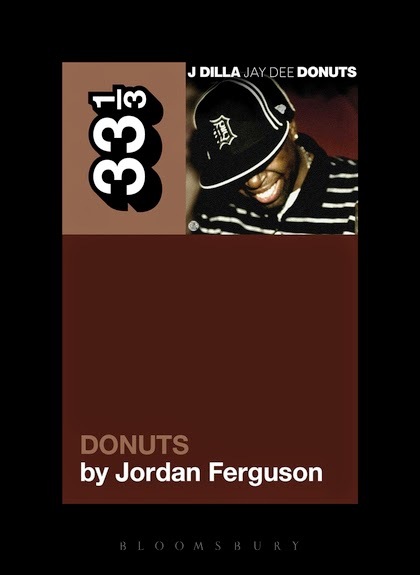 If you have any interest in music or business or even just want to read an entertaining story about one of the biggest culture shifts over the past 20 years you should definitely pick this book up. One of the exercises brands like to do is the consumer journey. This basically consists of outlining a pretty linear process of how the consumer eventually gets to purchasing your product. For some brands this makes sense, and for others less so. Regardless, consumer behavior in reality has a pesky tendency to stray away from that neat model. 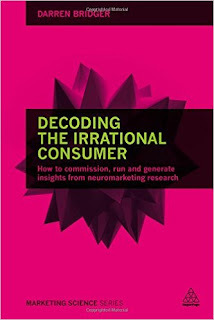 Decoding the Irrational Consumer by Darren Bridger outlines how consumers don't always behave in the most rational way and offers neuromarketing methods to help account for and understand these messy purchasing processes. The book is essentially a tour of all the current neuromarketing capabilities out there and their benefits and how they should be deployed. Bridger is an experienced neuromarketing consultant and a very capable guide through the likes of facial action coding and psychometrics. Each chapter dives into a different neuromarketing tool and the science behind them and use cases. It is a great way to learn about how brands are actually leveraging such tools, such as how the retailer Tesco used eye-tracking studies to identify undervalued print placements and improve the efficiency of their media buys. 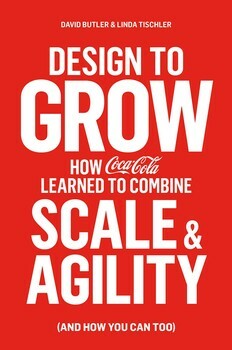 Concrete examples help marketers reading this book actually envision how they can incorporate such studies to their own brands. Bridger isn't afraid of science or academia and he frequently references studies from a variety of disciplines in demonstrating the benefits of such services. While one would naturally expect him to be bullish on all such research, he is very fair-minded and describes the pros and cons of all methods, such as how EEG studies are great for immediate feedback but can't really measure long-term effects particularly well. 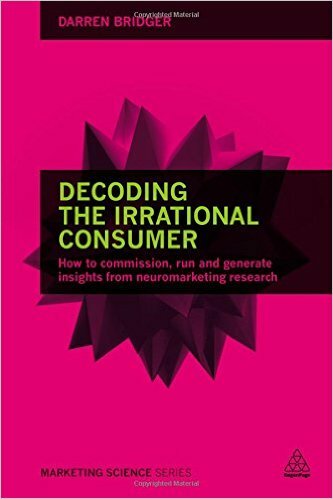 Decoding the Irrational Consumer is definitely designed to be a practical and instructional read and I think it does a fine job at that. And if you are really interested in marketing and getting the lay of the land of some of these cutting-edge tools this makes for a pretty good pleasure read as well. About eight years ago I had a summer internship at a real estate firm in Manhattan. Among my numerous and indispensable responsibilities was to photograph every GNC and Vitamin Shoppe franchise on the island for reasons that were never adequately explained. It was a humongous undertaking and I remember my manager being flabbergasted when I finished my task in under an epoch. The experience left me with two major impressions: the 6 train will always have delays due to signal problems at some station in the Bronx you never heard of (outside of from delay announcements, that is) and that the supplement and nutrition industry is truly humongous (or at least features ridiculous levels of retail over-saturation). Nearly a decade later, both points are as valid as ever, if not moreso. 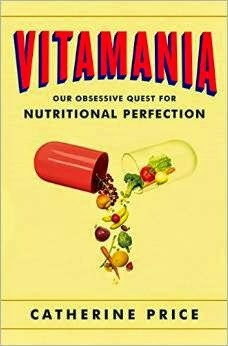 In Vitamania, journalist Catherine Price traces the history of vitamins as well as the science behind it, as well as how businesses have cut some ethical corners peddling the stuff. It makes for a read that is both funny and frightening, but well-researched and informative throughout. Price begins with a history of vitamins and diseases like scurvy and beriberi brought about by vitamin deficiencies. I found it pretty fascinating how scientists of yore tried to discern the causes of such issues and the wrong trees they barked up before finally identifying the correct ones. She proceeds to outline the 100-year history of vitamins and the way marketers have manipulated consumers with the help of such substances, with plenty of information about how vitamins affect us throughout. Pop science books like Vitamania must maintain a delicate balance between informing and entertaining. To vastly oversimplify things, authors from academia are better at the former while journalists are the opposite. However, while Price, whose work has been published in the New York Times and Popular Science clearly knows her stuff and additionally has done her homework, combing through tons of incredibly old and/or obscure documents such as Anhydrous Lanolin News while tracing the history of vitamins as well as trawling microfilms of McCall's to chronicle the evolution of marketers doing bad things with nutritional claims. CPG marketers of today can take solace in the fact that there is a long history surrounding absurd health claims, such as a 1937 Fleischmann's yeast ad that claimed the product restored a woman's ability to walk. You'll learn what differentiates fortified foods from enriched and how vitamins actually work. Price does a great job at distilling complex scientific concepts into layman-friendly prose and nothing went over my science-challenged head. Vitamania is very fair in its assessments and Price is not afraid to take a skeptical tone when necessary. While the book is not an alarmist screed solely written to make us angry and participate in some major social media activism campaign, there are definitely some disheartening albeit illuminating passages on supplement regulations. Essentially the Food and Drug Administration is in a relatively dominant position with pharmaceutical companies. Drugs take forever to get approved and require extensive testing and pharma marketers are severely hamstrung by a slew of regulations. While the latter can be somewhat annoying to those employed by ad agencies with pharma clients, I think it makes sense that drugs are subject to such scrutiny. The FDA is virtually powerless to properly oversee supplements, however, thanks to the Proxmire Amendment, passed by Congress in 1976. This act was largely responsible for the wild west nature of the supplement industry and its outrageous claims, which while fun to read about is also a little unnerving. The book is too hard science-heavy (there were a few portions that seemed a bit dull to me thanks to very comprehensive explanations) to recommend to book readers everywhere or something (not that this ever seemed like Price's intent) but if you have any interest in nutrition or vitamins and the history of the subject, definitely give Vitamania a read. Getting back to my internship conclusions, I don't think I will ever figure out why the 6 train gets delayed so often. But at least now thanks to Vitamania I have a much better idea of the history behind and science of vitamins.